–Household chores: cooking, cleaning, shopping, transporting (using bus). Today we are going to cover shopping. Is the older person able to assess needs for supplies and plan and execute shopping excursions independently? What type and level of help are needed if the older person cannot do these tasks alone? Asking the person questions about who does the shopping and having the person describe his or her last shopping trip can give information useful for care planning. Some persons may have difficulty carrying grocery bags but be able to make a shopping list and drive to the store. Others may have cognitive problems that interfere with the ability to survey needs, make a list, find the items in the store, and pay accurate amounts at the checkout counter. Other persons may have ambulation difficulties or low stamina as a result of a heart condition, for example, which precludes the person from walking up and down grocery aisles or going to the mall to buy clothing. 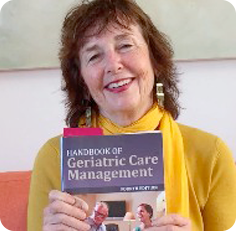 If you as an aging professional or geriatric care manager assess shopping ability as part of IADL’s then you will have to come up with solutions in the forms of a care plan. Here are some suggestions that you might add to that care plan. Several core functional activities form the bases of IADL assessments. How an older person performs on these activities gives important information about that person’s ability to live independently with safety and quality of life. Determining a person’s ability to make and receive phone calls can help identify home safety issues. From higher-level activities, such as locating or remembering a phone number or looking up a number, to following through to place a call and completing a call all give clues to a person’s ability to manage independently and safely at home. If there was a fire, could or would the person be able to call for help? Can the person call the doctor’s office and make an appointment? If there was a water leak, could the older person locate and call a plumber, or would the person need to call a family member or friend to get that person to locate help? Determining capacity in this regard can be tricky. First, determine whether the person has the physical capacity to use the phone: can the person reach the phone, hold it, and hear well enough to use it? Asking the person to place a call to the doctor to reconfirm an appointment is one method of evaluating behavior. Another is to ask what the person would do in an emergency. Then ask the person to give the numbers of the persons he or she would need to call. Document the person’s responses. When conducting assessments for IADLs, there is the risk that people will give false-positive responses—stating they can perform a function when in fact they may have difficulty performing it. Observation and gathering information from several sources help the care manager pinpoint areas of strength and limitations. It impairs use of telephone, safety (hearing a fire alarm) and driving. One test a health care professional or geriatric care manager can do is to whisper to client or ask if can hear your ticking watch. The solutions a GCM or health care professional can use is to send the client to primary physician as it may be wax in the ear. The primary physician should refer to audiologist, if there is a problem in hearing. Loud doorbells and using hearing adaptive devices for telephones,TV’s and theater. It may be suggesting to family and friends that they take them to restaurants on off hours.